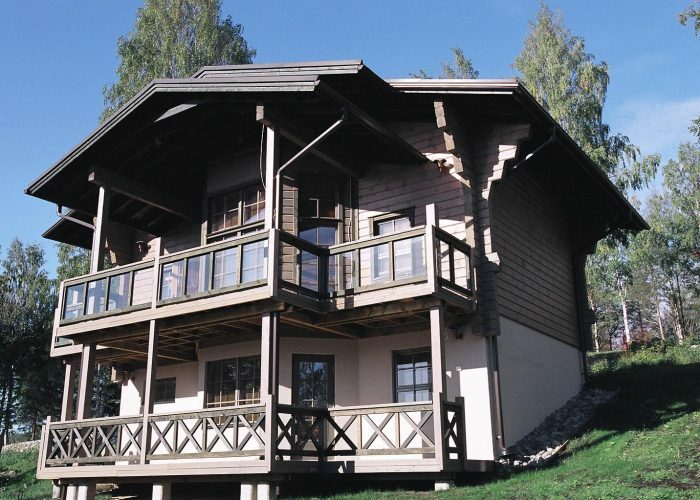 This is an ideal variant of the cottage in Finland if you plan to have a holiday with a bigger group. 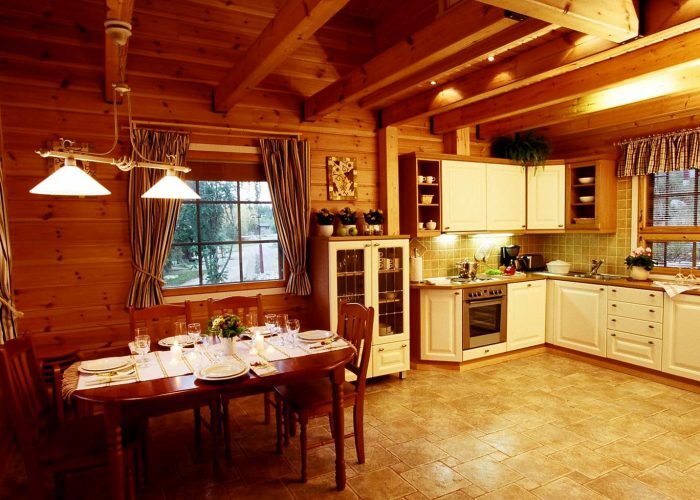 Three floored cottages can accommodate more people than LUX or VIP cottages or the townhouse apartments. Merry holidays are guaranteed. Constructed in 2005. The area is 160 sq. m, three levels. 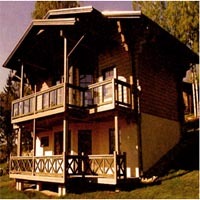 Accommodation up to 11 persons. There is four bedrooms and 3 single beds on the loft. Two bedrooms are on the first floor (there is a double bed in one bedroom and in the other bedroom has a double bed you can split in two. 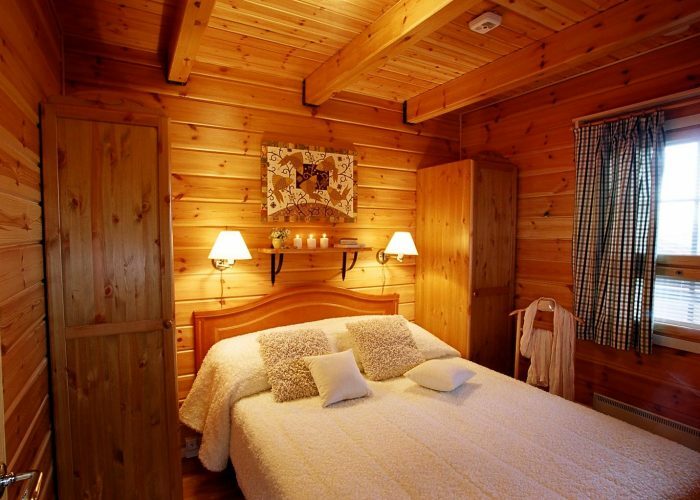 The second floor has a bedroom with two single beds and additionally there are 3 single beds on the loft. There is one more bedroom with two single beds on the ground floor. The cottage has everything necessary for a enjoyable holiday: kitchen equipment and household appliances (a TV, an audio system, a DVD player, a dishwashing machine and a washing machine, a drying cabinet, an iron, a hair dryer, a fridge, a microwave oven, an electrical cooker and an oven, an electrical kettle, a coffee maker, a toaster), kitchen utensils for cooking and tableware for 11 people. There are two fireplaces: one on the ground floor and the other on the first floor. 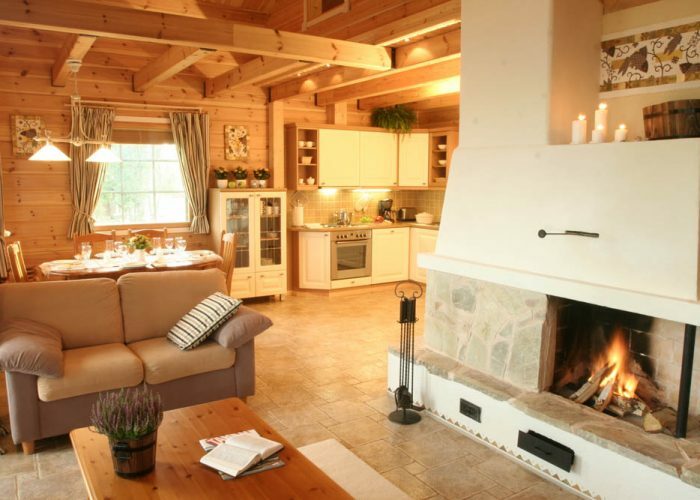 A box of firewood is included into the price of the cottage. 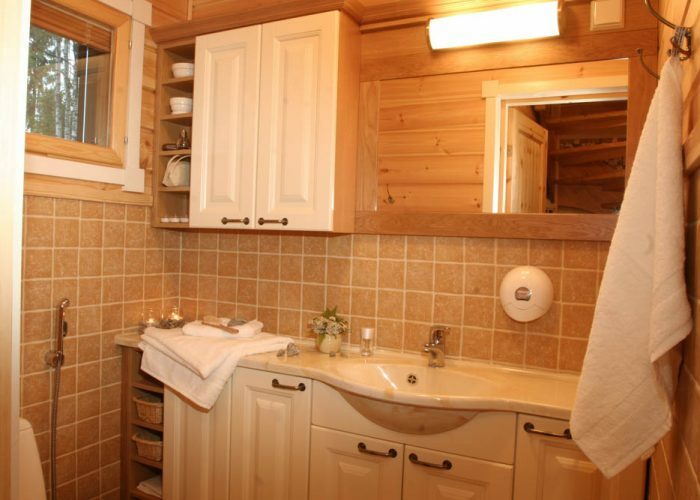 There are three toilets in the cottage (two on the ground floor and one on the first floor). 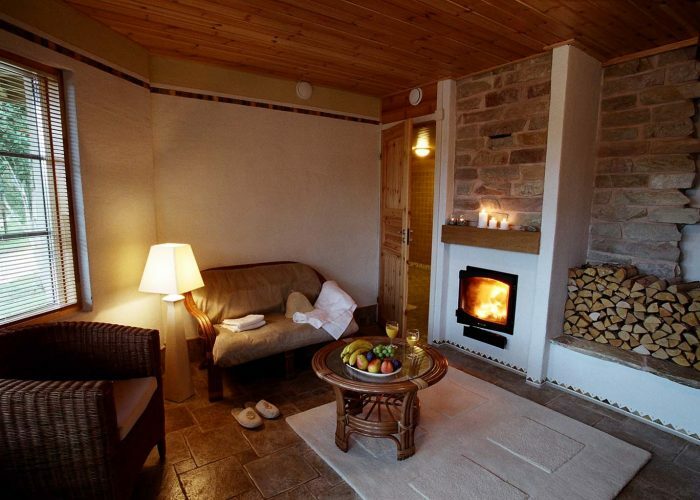 On the ground floor you will find a big sauna and a spacious shower room with three showers. Next to them there is a sitting room with an entry to the terrace. 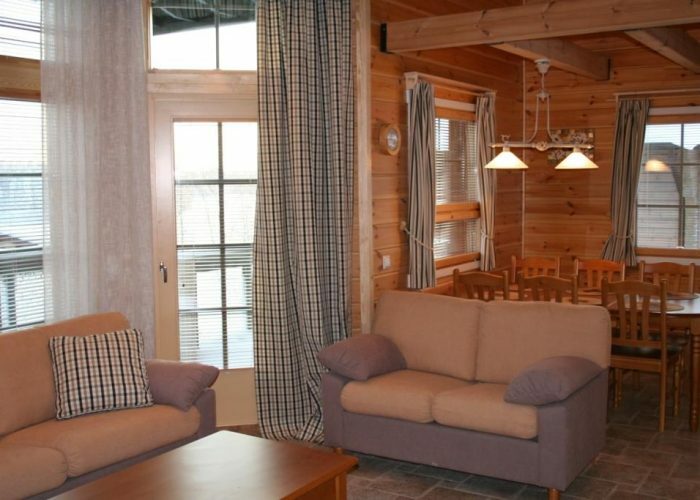 On the first floor there is a big loggia from which you can get a nice view to the lake. On the terrace and on the loggia, there is garden furniture. Outdoors near the entry door of the cottage there is a small storage room for keeping ski equipment, there you will also find a barbeque. The houses are warmed up with electricity, on the ground and on the first floors there are heated floors. To the guests’ service there is free access to the Internet and cable TV. In spring, summer and autumn the price of the cottage includes a rowing boat. Every cottage has a personal parking place with electrical heating for the cars accumulator.